Halo 2 was released on November 9, 2004, as the sequel to one of the biggest games on the original Xbox. The feel of Halo 2 changed a bit from the original, with Legendary difficulty being significantly harder, the dynamics of the weapons changing, and invisible barriers and death volumes set up to prevent the sort of exploration possible in Halo. Still, there are a number of bizarre glitches not present in the original. Combined with interesting level design, they make Halo 2 very well suited to speedrunning, even as a console FPS! 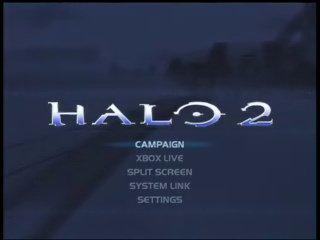 Best time, Legendary difficulty: 1:30:29 by the Halo 2 Done Segmented team on 2009-01-21, done in 161 segments. This is a segmented speedrun of Halo 2 on legendary difficulty in 1:30:29. This project was over two years in the making, and was made possible by the efforts of everybody at HighSpeedHalo.net and HighImpactHalo.org. Sword Flying: this trick is heavily abused throughout the course of the run. Only possible in Halo 2 1.0, you cannot perform this trick if you have updated to play on xbox live, or if you have the Vista version. If you switch from any weapon to the sword while hitting X to cancel the animation, the reticle will stay red for a fraction of a second while the sword comes up enabling you to lunge farther than you could otherwise. This is most useful with weapons like the battle rifle and sniper rifle, but it works with any weapon. Sword Canceling: If you lunge normally with the sword but cancel with X, you keep your velocity while canceling the lunge. You can hold A to rise a bit to continue on past the enemy. Superbouncing: If you jam yourself into a sloped surface, then jump onto a place where two polygons come together, the game thinks you are inside of it and shoots you upward to eject you. Metropolis: The levels ends when the scarab pilots are killed, and they do not load until the scarab reaches a certain point. It doesn't matter how fast you board it if you do so before this point. Arbiter: The elites and grunts in the beginning are killed to skip a short segment of dialogue. In the room where the Heretic leader first appears, you can lunge at him with the sword and go through the glass if you have the PAL version of Halo 2. We did not use this trick since it is not possible on the NTSC version. Oracle: The cables are on a timer; you cannot cut them until the dialogue for each is finished. Even though it looks as if time is being wasted, they are cut at the earliest possible moment. Delta Halo: A bit of time is sacrificed to get the envy skull, but the ability it grants: for the Master Chief to be able to cloak, saves much more time throughout the rest of the run than it costs to pick up the skull. Quarantine Zone: The sputnik skull saves time as well, so while we sacrifice time to get it, it's more than made up for later. This skull makes explosions more powerful, enabling higher grenade jumping or launching. Gravemind: Standing in the specific spot in the first room while getting a checkpoint will prevent several waves of brutes from spawning, which saves a lot of time. Uprising: Falling over the level's exit will normally result in death, but if you are in a vehicle, or if you reset the fall timer by either hugging a corner where two polygons come together, or by firing the fuel rod cannon downward, you will survive and end the level. High Charity: By letting the elevator press you into the geometry, a similar result to superbouncing is achieved. Great Journey: Going backward after the scarab cutscene then returning removes all the wraith drivers from the level. This saves time because the scarab can walk directly to its destination, and does not have to pause to kill the wraiths. or any other enemies along the way. By dropping the specter in a specific place, it can fall through the ceiling and into the final room. If johnson is riding on the specter, the game does not recognize him and spawns another. This is done until three Johnsons are spawned, making the Tartarus fight go much more quickly. Everyone at halo.bungie.org, highspeedhalo.net and highimpacthalo.org.